Microsoft on Tuesday said that, contrary to earlier statements, it would not make Project Spartan, the new browser for Windows 10, backward compatible with websites and Web apps designed expressly for Internet Explorer (IE). The announcement was a turn-about: In January, Microsoft said that Spartan would call on either a new browser rendering engine -- a streamlined "fork" of Microsoft's longstanding Trident -- or the older IE11 engine, depending on the sites or apps it encountered. "Spartan provides compatibility with the millions of existing enterprise websites designed for Internet Explorer," said Jason Weber, an IE group program manager, two months ago. "To achieve this, Spartan loads the IE11 engine for legacy enterprise websites when needed, while using the new rendering engine for modern websites." Meanwhile, IE11 -- which will also be included with Windows 10 -- was to be revamped so that, too, could use either rendering engine. On Tuesday, Microsoft said it had drawn a line between the two browsers. "Based on strong feedback from our Windows Insiders and customers, today we're announcing that on Windows 10, Project Spartan will host our new engine exclusively," wrote Kyle Pflug, program manager for Spartan, in a blog post. "Internet Explorer 11 will remain fundamentally unchanged from Windows 8.1, continuing to host the legacy engine exclusively." Pflug cited several reasons for the change of heart, which boiled down to a case for simplifying what had been a confusing browser situation. Separating the new (Project Spartan and its forked rendering engine) from the old (IE11 and Trident) will also let Microsoft better pursue its goal of delivering a constant stream of updates to Spartan and reduce compatibility issues with IE11. 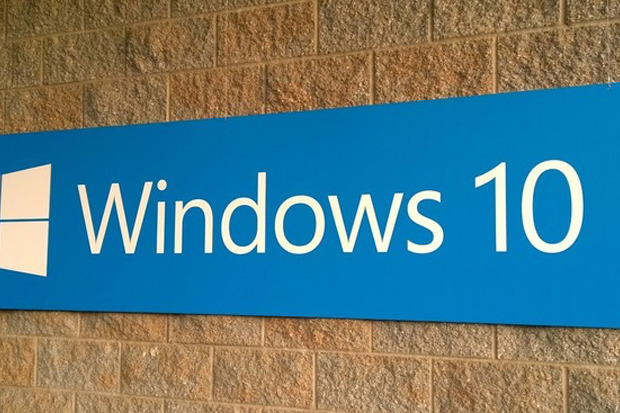 The new engine will be removed from IE11 in the next update to Windows 10 Technical Preview. Microsoft also made it clear that its development attention would be focused on Project Spartan, the placeholder for the yet-unnamed application. "Project Spartan is our future," Pflug said, adding that the browser would be Windows 10's default. He also implied that IE11 was a dead end that would be maintained but not enhanced. "Since Internet Explorer 11 will now remain fundamentally unchanged from Windows 7 and Windows 8.1, it will provide a stable and predictable platform for enterprise customers to upgrade to Windows 10 with confidence," Pflug said. IE11 will remain important for years to come: Microsoft has promised to support the browser with security updates for at least the next eight years, through the lifecycle of Windows 8 and 8.1, which exit support in January 2023. But Microsoft is in the process of culling its browser list. Last year, the company abruptly announced that it would require Windows 7, Windows 8 and Windows 8.1 users to upgrade to IE11 if they wanted to continue to receive security patches. After Jan. 12, 2016, only IE11 will be supported on desktops running Windows 7 and Windows 8.1, while IE7, IE8 and IE10 will fall out of support entirely on client systems. IE9 will be supported only on Windows Vista, which reaches retirement in April 2017. In other words, within two years Microsoft will have cut -- with some exceptions for servers and Windows Embedded -- the number of supported browsers from the current six to just two, Project Spartan and IE11. Enterprises that adopt Windows 10 will be able to set IE11 as the OS's default browser using group policy settings, Pflug said. Microsoft has not yet given an official name to Project Spartan or added it in its entirety to Windows 10 Technical Preview. Both moves will reportedly be made at Ignite, the company's conference in Chicago slated for May 4-8.